"Where we stand" was written to prove one thing: the state of health in this country is terrible. Literally hundreds of millions of people in this country suffer from some form of chronic illness and it keeps getting worse. About half of American adults now have a preventable chronic disease while a quarter of us have two or more. Chronic disease accounts for 2 out of every 3 deaths in the US. So what happened? Did everyone just wake up one morning and decide to be depressed? Did our bodies coordinate a labor strike to prevent us from processing glucose? No, obviously not. But still, the question has to be asked: What led to the dramatic rise of chronic illnesses in America over the last century? My internet browsing and late-night reading has pointed me to three primary culprits: diet, lifestyle, and technology. Individually, they each play a part in the worsening of our health, but together, they result in what is going to go down in history books as the Behavioral Epidemic (totally just came up with that). The first cause of this epidemic is our changing consumption habits. 100 year ago, we consumed much less soda, alcohol, drugs, processed foods, and meat than we do today. We used to eat significantly more vegetables and whole grains, rich in fiber and complex carbohydrates rather than fats and sugars. The change in consumption is driven by one thing: convenience. Our brains are wired to follow the path of least resistance. In the past, this calorie conserving instinct was useful since it allowed us to ration our energy for when we really needed it, like running from a lion or chasing down a deer. Since we don’t need to run after our dinner anymore, it’s become a significant liability. Before the modern age, you simply couldn’t go to a fast food store at 2 in the morning and pick up 20 chicken nuggets for 5 bucks. You couldn’t go to a supermarket and choose between 15 types of bacon and 12 types of oreos. Now you can. Just look at Boris Yeltsin passing through a Randall’s in 1989. His poker-face is great but his eyes give him away. Yeltsin was a full fledged member of the Politburo, and he just can’t believe what he’s seeing. Not even he, a premier leader in one of the most powerful civilizations in human history, had the abundance of choice available to the average American. In Yeltsin’s autobiography he notes that it was his visit to that supermarket, rather than the NATO alliance or the threat of a nuclear holocaust, that shattered his belief in communism. The thing we need to understand is that this level of availability is incredibly recent given the scope of human evolution. The first supermarkets were introduced in 1916, just over 100 years ago. White Castle, from Wichita, Kansas, is generally considered to be the first fast food chain. They opened in 1921, selling hamburgers at 5 cents a pop. Together, supermarkets and fast food chains have revolutionized how America eats. The point I’m making is that our brain was not conditioned to deal with the abundance of cheap, unhealthy food. Our brains evolved to crave meat and sugar because of their high energy content and their relative scarcity. Take away the scarcity variable by introducing supermarkets and 24 hour burger joints, and suddenly you have a problem: overconsumption of high energy foods. Fats, sugar, and cholesterol are not necessarily bad for you, its the excess consumption that is the problem. Not only are we eating more food in general, but we're eating food with higher fat content, sugars, cholesterol, and sodium. We're cutting out fruits, vegetables, and other necessary nutrients like fiber. In the 30 years from 1969 to 1999, North America increased its fat consumption per person by 26 grams per day. In that same time frame, we increased our meat and dairy consumption by 146 grams per person per day. Almost every major government and major health agency or institution recommends a shift towards a more plant based diet, but consumption trends are heading the other way. While I’ve focused on foods, the same case applies to drugs and alcohol. 100 years ago, getting alcohol was difficult, especially given the state of prohibition. But even before prohibition, the strongest stuff you could usually find was wine or a strong mead. Now you can go to a corner store and pick up a liter of vodka for $10 as long as you have a semi presentable ID. It might come in a plastic bottle and taste like death, but it’ll get you drunk! Its become standard practice for college kids and young adults to get hammered on weekends and binge drink. The same is true of drugs, whether they are prescribed by a doctor or bought off a dealer. Drugs of all kinds are now more potent and easier to source than ever before. You can go to your doctor and complain of panic attacks and get a prescription for Xanax. Or you can walk 4 blocks in downtown Manhattan at night and get offered coke, MDMA, and weed. Don’t feel like leaving your house? Good thing you can get any substance shipped directly to you through the dark web (hooray bitcoin!). Our brain’s reward system simply has not had enough time to adjust to the availability of all these chemical hooks. The second cause of the chronic condition epidemic is the fundamental change in lifestyle of most Americans. We hardly move anymore. In fact, around 80% of American adults do not meet the guidelines for physical exercise. This includes both strength conditioning and aerobic exercise. The chart below depicts the quantity of Americans that meet these guidelines. A large part of this lack of exercise is due to the invention and proliferation of the car. The internal combustion engine was invented in 1823, but it wasn't until 1913 when Henry Ford introduced the concept of the assembly line, that owning a car became possible for a significant portion of the general population. In 1956, the interstate highway system was finished and linked America closer than ever before. American cities began to be designed around the car. I live in Houston myself, and getting anywhere without a car here is nearly impossible. This is true of almost any major city in the South. More driving means less walking, running, and biking. Most of us wake up in the morning, go through our morning routine, commute sitting down, sit down at work, commute back sitting down, sit down for dinner, sit down to watch some TV or relax, and then go to bed. We spend our day either sitting down or lying down, we only really stand or walk around when we need to get from one seat to another. The things we do on a daily basis have changed. We don’t walk anywhere anymore, we drive. We don’t cook dinner anymore, we order take out from GrubHub and binge watch Netflix. Why even go shopping anymore? Just order it off Amazon and have it dropped on your doorstep in two days. Our relationship with work has changed as well. We spend more time working than any other nation in the world. We take less vacation and we retire later as well. In 2006, Americans worked 200 hours more per year than they did in 1970. Compared to France, we work 500 hours more per year. Our vacation time is non-existent. Take a look at the chart comparing paid vacation days across different nationalities. Work has become our form of validation. Our job has become our life. The first question in a conversation after an introduction is some variation of “So, what do you do for a living?” We place an incredible amount of social value on a person’s job, it’s literally how we determine a person’s worth. Just ask a college student how stressed they are about finding a job. No one wants to be unemployed. We treat unemployment like its the worst thing that can happen to a person in America. We spend the first quarter of our life training ourselves to chase after jobs we don’t like. Jobs that ratchet up our stress levels, promote a sedentary lifestyle, and provide no personal validation. Work has become an obsession. Even when we go home, we’re worried about getting an email or phone call from our boss. 24% of workers are thinking about work when they’re at home or socializing. The rising demands of work are having serious effects on employees. The number of stress related disability claims from American employers has doubled. Workaholics are 67% more likely to suffer from coronary heart disease than those that work between 7 or 8 hours a week. People are more stressed about work and its affecting their health on a profound level. We can’t disconnect anymore unless we make a conscious effort to do so, and doing so is hard. I mentioned TV earlier, and while it definitely plays a role in promoting a sedentary lifestyle, I think that TV use fits into the lifestyle argument more than the technology one. What I mean by technological integration refers specifically to the increase in connectivity among our species. The prime culprit being the phone. The phone was patented in 1876, just over 140 years ago, by Alexander Graham Bell. Within 50 years of its invention, it had become a necessary tool in the United States. The next step in technology's unstoppable march was the invention of the cell phone in 1973 by Motorola, enabling us portable, near-instant communication. By 2002, 10% of humanity used cell phones. By 2005, that number was 46%. 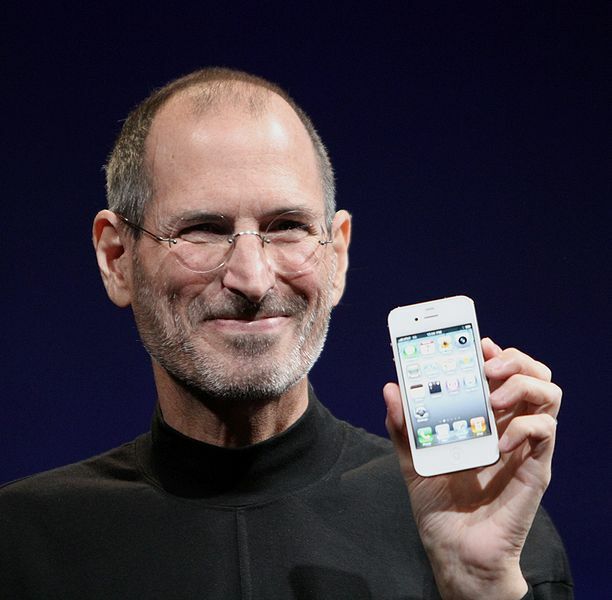 Then, in 2007, Steve Jobs stood on stage in a black turtle neck and changed the world forever. He did it by introducing the world to the iPhone. The Economist, one of the most respected news organizations in the world, literally called it the "Jesus Phone". Time magazine named it their "Invention of the Year". The iPhone was the first device that seamlessly integrated a touch screen interface, internet connectivity, a high resolution camera, and the storage capabilities of an iPod. But none of those features revolutionized the way we interacted; the app store did that. The app store was a game changer because it opened up the iPhone to a world of possibility. By introducing humanity to a marketplace for software, Apple made their device adaptable to any trend we decided to follow. It provided its users with value beyond the core components and features their engineers originally include; it allowed for personalization. The iPhone itself was a cool new gadget, but it was the app store that changed everything. Just look at the technological developments that have happened since that fateful day in 2007. The rise of social networks is the obvious example of a major innovation closely linked to the smart phone; but what about on-demand transportation, face-to-face telecommunication, or targeted advertising? All of them piggyback off the connective power of the pocket supercomputer. Today, 99% of Americans aged 18-29 carry around a smart phone with them wherever they go. We are now connected to the rest of the world through a thin rectangular box of glass and metal. Every person you’ve ever known or heard about is just a phone call, text message, or social media chat away. There are connectors for your professional career, your romantic life, and your different social circles. We call it a phone, but it’s really a remote control for our lives. You can predict the weather, order anything you can think of to your house, and replay any video, photo, or memory you want for the rest of your life. While it's great to be able to google anything and call every friend you ever had, the fact is that there are downsides to being so connected. As great as the smart phone is, there are serious side effects to carrying one around all day. Smartphone addiction is a real thing now, more than 60% of Americans can’t go an hour without checking their phone. Hearing loss from constantly having music on demand, sleep pattern disruption due to screen brightness, increased levels of anxiety and stress, the list goes on. They may even cause cancer: the World Health Organization is investigating whether smartphone generated radio-frequency fields are carcinogenic. Cell phone use while driving accounts for 1.6 million car crashes a year. As with any tool there are upsides and downsides, we tend to focus on only the upsides when talking about smartphones and its derivative technology. Its debatable if its healthy for us to be so connected. I wrote a lot about the relationship between work, stress, and increased connectivity earlier. But the same downsides apply to children, who are exposed to an array of internet enabled devices from the moment they are born. I have a small cousin who can't speak yet, but you can bet he knows his way around an iPad. Kids now are exposed to cyber-bullying at all times and don't have the chance to make mistakes without someone recording it and posting it on social media. These devices are changing the way we interact with each other at a fundamental level. The increased connectivity of our society, availability of unhealthy foods, and shift towards a sedentary lifestyle have combined to devastate American health. No on is freaking out about it because the changes were gradual. But the reality is that the average American woman today weighs as much as the average American man in 1960’s. The data is no less damning because it changed slowly. It appears that our health crisis is driven by one thing: addiction; not as a moral failing, but as a disease. Addiction doesn't just refer to physical drug cravings anymore, it encompasses anyone who cannot control their behavioral impulses. It doesn’t matter if your particular addiction is alcohol, Facebook, work, french fries, cocaine, or Netflix - all of them share the same overarching addictive principle. Our society and it's multinational corporations have figured out how to exploit the psychological vulnerabilities of our species and now reaps the financial rewards of doing so. The particular chemical that your brain craves is irrelevant; it’s our dependency on it that is important. Don’t believe me? Try and go a single day without checking your phone. I bet you don’t even make it a full hour. Copyright Healthmates Inc. All Rights Reserved.